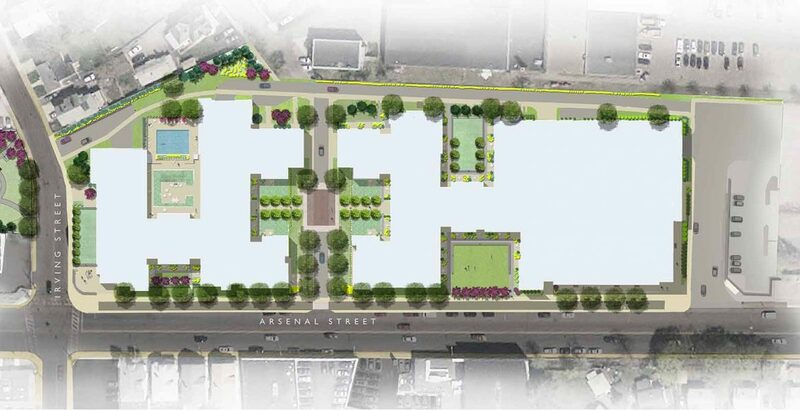 Verdant Landscape Architecture is worked with The Architectural Team and Greystar Development to design this mixed use/residential development located along Arsenal Street a few blocks from Watertown Square. In addition to numerous grading challenges presented by the existing site and layout of courtyards, we worked extensively with the City and our design team to incorporate a community path (separated grade bike lane) and other streetscape features to improve the public interface. With input from the community, we also designed a public park along Irving Street as an additional amenity.